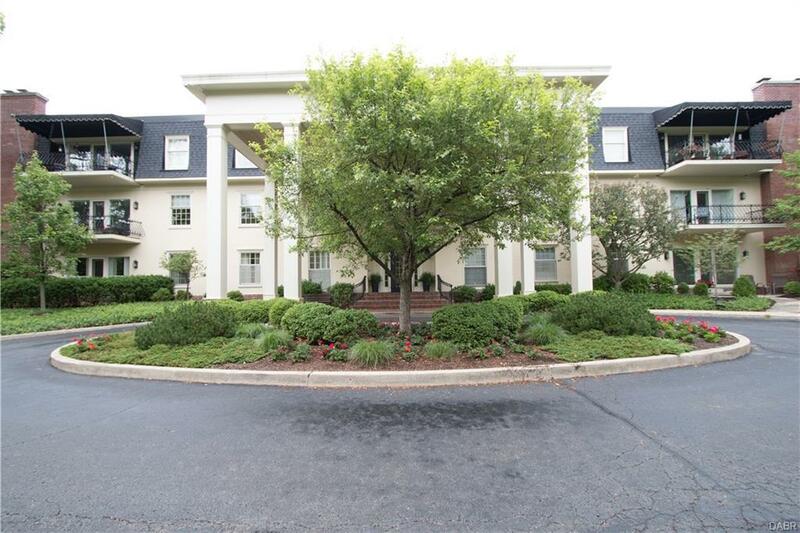 Elegant condo building conveniently located in Oakwood with easy access to downtown, interstate, & many amenities. Luxury living on the 2nd floor with views to the west and the south with tree lined drive. Spacious thru-out with 2-3 bedrooms & 2 baths. One bedroom is currently used as a den & opens to the living area.Kitchen with breakfast area overlooks the light filled atrium giving a felling of an outside entry. The great room features a dining area & gas FP with a door to the covered balcony. Built in cabinets in one bedroom & delightful walk-in closet in master. Lots of closets for storage. The atrium is 3 stories high with plants and skylights. Elevator for east access to the heated 2 car garage with your own private storage unit. Additionally there is a small gathering room & exercise room.Heat pump was new in 2013 & water heater in 2014. Humidifier & Fireplace & chimney conveys "as is." Listing provided courtesy of Linda M Weprin of Linda M. Weprin. © 2019 Dayton Area Board of REALTORS® MLS. Information Deemed Reliable But Not Guaranteed.